Verizon will be getting the Nokia Lumia 710, but it won't launch until April? Already, we know that a couple of 4G LTE Windows Phones are gearing to be making an appearance at this year’s CES show, but now we’re hearing word that Verizon is going to be getting a Windows Phone too in the future. Considering that the carrier has been sitting on the aging HTC Trophy as its sole Windows Phone offering, anything new is undoubtedly going to be perceived as a welcomed addition. However, don’t get your hope raised just yet, since it seems as though the device in question is merely something we’re all too familiar with. 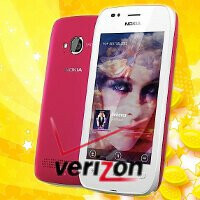 Specifically, the juicy rumor hints that Verizon will be getting the Nokia Lumia 710 – yes, the very same one that T-Mobile intends to launch very soon. Of course, Big Magenta has an exclusive on the device, and that’s probably why Verizon won’t be launching it until April 2012. As for pricing, it's unknown at this point, but when you take into consideration the $49.99 on-contract cost associated with T-Mobile's version, one could only expect to see Verizon making it free with a contract. Unfortunately, Verizon’s version of the Nokia Lumia 710 won’t be packing 4G LTE connectivity whatsoever, and instead, it’s simply going to be your usual 3G enabled smartphone. Verizon customers hoping to see a premium Windows Phone are surely going to be bummed by the news, seeing that they’re going to need to wait even longer before seeing that becoming a reality. I really hope that Americans get too try out the Nokia Lumia 800. Not all Americans will get to try it out because it slated for ATT only. Verizon already said they're not getting any new WP7 phones unless they're LTE-enabled. So will the Verizon Lumia 710 come with LTE? If so, why not Lumia 800 with LTE instead? Or better yet Lumia 900 with LTE? wow what is this all about why would'nt verizon get the Nokia 800. since They seem not to like to carry many windows smart phones. Why not get one first class Nokia smart phone to offer us Verizon customer where is a verizon Focus S or Verizon HTC Titan or a Nokia Lumia 800 or 900?. Verizon must like losing Windows Phone 7 customers by selling them low end windows phone 7 devices which they wont buy. donot get me wrong the 710 is ok but it's not top Nokia windows phone 7,5 hardware . The Windows Phone hardware will always remain lower than Android because its system requirement is lower than Android system, simply. I'm tired seeing users says 'Ah where is Dual core, where is 1GB Ram or where is LTE(Coming next year). Without flaming anything, let's note that Windows Phone performs fast and fluid with lower spec compared to Android, just imagine the lag. Of course there will be Apollo afterward higher system requirement for WP7. Now you make think I'm WP Fanboy that's up to you. Yep, looks like the problem lays within MS. ATT getting LTE WP based on rumors. Why not Verizon? Tmo getting mid-low WP. When aren't they getting high end? There is a problem with this picture and MS WP will continue to loose market if the picture doesn't change. Umm no I'm pretty sure MS would love to have multiple phones in every carrier worldwide. As far as I can see, MS is not doing a good job of making their devices easily accessible to all consumers. If carriers are the problem, lets back track and see what's the cause. Ahhh, its MS!